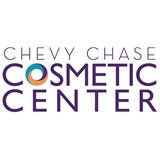 Chevy Chase Cosmetic Center (Chevy Chase) - Book Appointment Online! The Chevy Chase Cosmetic Center is a full service dermatology practice specializing in non-surgical cosmetic treatments and general dermatology. We are located in Chevy Chase and Greenbelt, Maryland. We offer non-surgical anti-aging treatments such as Ultherapy skin tightening, cosmetic dermal fillers, Botox Cosmetic, IPL Photorejuvenation, fractional skin resurfacing, and liposuction. We accept most insurance plans for general dermatology. Our board-certified dermatology team treats all forms of skin cancer, and Dr. Eric Finzi performs Mohs Micrographic surgery. Managing director, Dr. Finzi, also specializes in Tumescent Liposuction and fat transfer for people interested in better body symmetry.